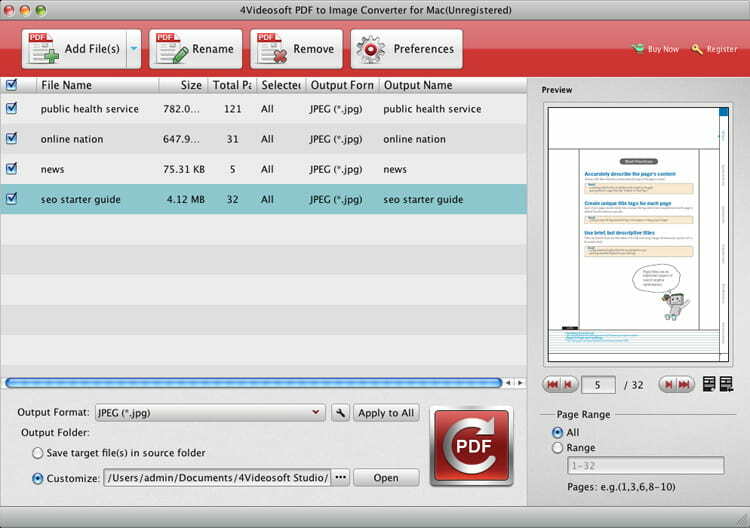 Besides, 4Videosoft PDF to Image Converter provides you versatile output settings. You can set the output format, size and color as well as checking &quot;Multi-page&quot; option to convert output images to a single file for GIF and TIFF format. Also you can adjust the quality for JPEG file and compression for TIFF file.